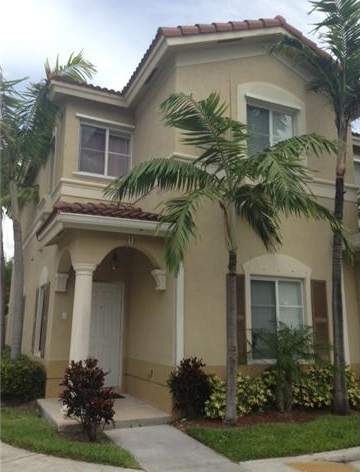 Doral real estate offers much more affordable than other parts of South Florida do. Because of this, the real estate market tends to change rather quickly. Over the last week, over 60 Doral properties have been listed for sale. Of those, over 40 percent are listed under $300K many of which are in some of Doral's most sought-after neighborhoods. It is a great place for investors, first time buyers and those wanting vacation homes in Florida to consider. 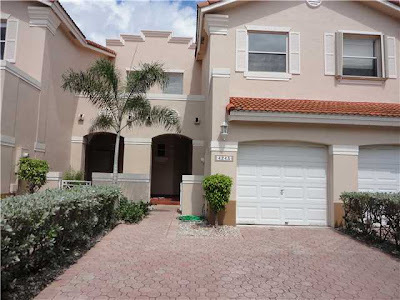 Following are the top five newest Doral listings under $300,000 (listed in past seven days). This 1,700+ square foot townhouse in well sought-after Costa Del Sol and features three bedrooms and two and a half baths which is perfect for a small family, retirees or even a single person. With lots of room and a nice contemporary style, it has been very well maintained. In addition to being around the corner from the Costa Greens Golf Club, it is just a short drive from Doral Golf Resort and Doral Park Country Club not to mention International Mall and Dolphin Mall. Costa Del Sol is very popular and a top pick to live as the residences are large, open and very stylish. This two-bedroom, two-bath townhouse located in Hawksnest, features a big kitchen with tons of counter and cabinet space along with room to move. Additionally, the upstairs bedrooms are roomy and have beautiful hardwood floors. Outside, there is a fenced-in, clay-tiled patio that complements the Mediterranean style architecture and is ideal for entertaining or simply entertaining friends or simply enjoying the Florida sunshine. Hawksnest is a lovely gated community of townhomes with a community pool, play area for children and a club house. It is situated just off the Turnpike within a 10 minute drive or less to shopping and Doral's best golf courses as well as 15 minutes from Miami International Airport. Located in the ever popular Doral Isles, this three-bedroom, two-bath townhouse is spacious and has lots of storage and closets. 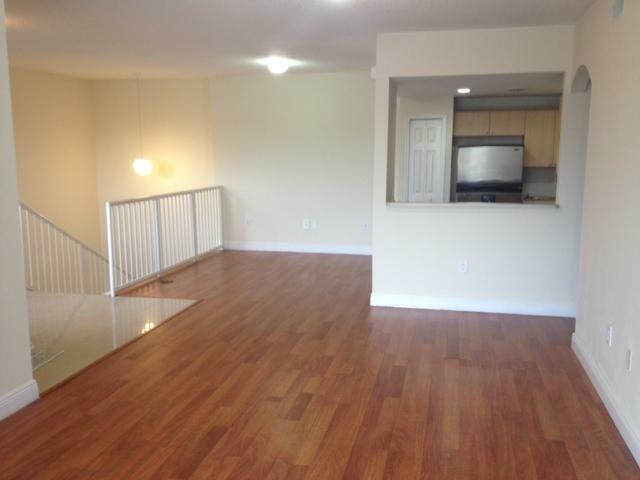 The kitchen is wonderful with stainless steel appliances, shiny tile floors and tons of cabinet space. There is a beautiful courtyard overlooking a tranquil lake and shared with neighbors. In addition, owners have access to the Doral Isles community amenities including pools, a gorgeous children's playground and park, and more. Doral Isles is a huge gated community that so many have a huge desire live. 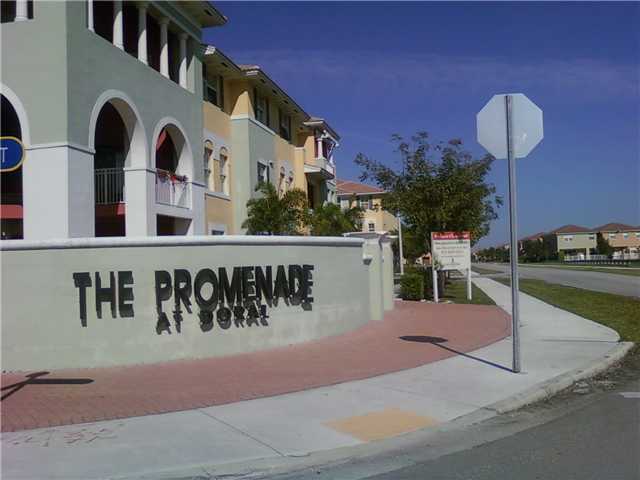 The Promenade at Doral is the home of this gorgeous, updated townhouse with three bedrooms and two baths, In the kitchen, there are granite counter tops, stainless steel appliances and sleek kitchen cabinets as well as tile floors. Another huge bonus is that the large master suite is situated on the main level with two additional bedrooms and bath upstairs. There is a balcony that is perfect for enjoying the warm Florida breezes. Community amenities include a wonderful playground for kids, tennis courts, and pool in addition to its close proximity to golf, shopping and excellent schools. As a short sale, this is a huge opportunity to live in one of the most sought-after townhouse communities in all of Doral. This Mediterranean-style end unit features four bedrooms and three baths, and is perfectly situated close to the pool and club house. The kitchen is large with tons of counter and cabinet space while the living area open and airy. The Islands at Doral has so much to offer its residents including its ideal location near excellent schools, top golf courses and Doral's best shopping venues. It is perfect for a family or executive who spends a quite a bit of time in Doral as well as investors looking for larger rental properties. For many, whether buying a first home, vacation home, or investment property, it is important to buy smartly. Doral real estate offers buyers the chance to buy more home than possible in other parts of Miami-Dade County. In addition to the 60+ properties listed over the past week, there are many others still waiting for the perfect buyers. As the real estate market continues to improve, this is an excellent time to buy real estate in Doral.